What is amblyopia? 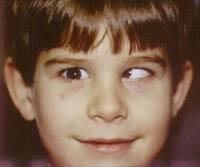 Amblyopia is also called ‘Cross-eye’, ‘Lazy Eye’, ‘Strabismus’. It is a condition that occurs in children in whom one eye has poorer vision than the other. If amblyopia is left untreated, a child’s vision will not develop correctly and as the brain matures, one eye will remain with poor vision. The brain actually ‘ignores’ the image coming from the bad eye, causing the vision in this affected eye to become even worse and be permanently diminished as the child becomes a teenager. Because amblyopia can have serious, permanent effects on your child, it is important that he or she is regularly tested. Another condition that can cause amblyopia is called strabismus. Strabismus or ocular misalignment prevents the eyes from focusing together on an image. This can cause double vision. In order to combat this, the child’s brain generally chooses to ignore the image from the deviated eye, causing the vision in that eye to eventually deteriorate. Other children cannot see well in one eye because there is something that blocks light from getting through. This could be due, among other causes, to a cataract or a small amount of blood or other material in the back of the eye. If there seems to be something blocking the light or if vision is unequal, or if there seems to be a problem with the movement of the eyes, the pediatrician or school nurse might recommend a visit to an eye specialist. The most common treatment for amblyopia is to force the brain to start using the “bad” eye by putting a patch over the “good” eye. 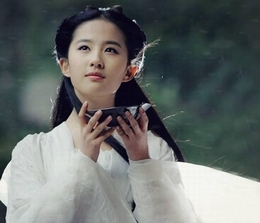 At first, the child will have a hard time seeing with just the weaker eye. However, it is very important that the patch is diligently used because this will eventually result in an improvement of vision. This can take weeks, months, or even a year. As the child keeps using only the eye with amblyopia, his or her vision will continue to improve. After the doctor determines that the vision is back to normal, the patch will not be needed. In cases of mild amblyopia, the doctor might recommend using an eye drop called atropine in the “good” eye instead of a patch. Atropine makes it impossible for that eye to focus close-up, forcing the “bad” eye to do most of the work while the child is playing with toys, eating, drawing, or reading. If there is something blocking light from getting into the eye, the doctor might recommend surgery to remove the blockage. If strabismus is preventing the eyes from moving together correctly, your doctor might recommend surgery on the muscles of the eye. If the focus of one eye is very different from the other, eyeglasses or contact lenses might be necessary.